Do you want to start a gambling business and are in search of software and platforms of the highest quality? Then NetEnt is a good choice for you. It is a world-renowned company that develops unique online casino software. 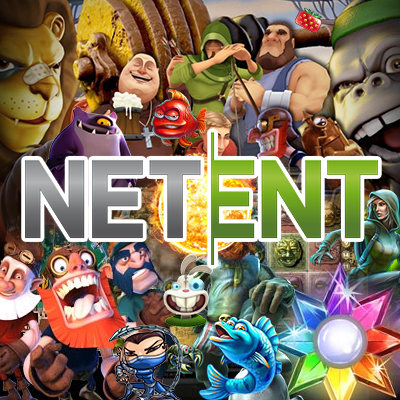 NetEnt was launched in 1996, and since that time it has gained the reputation of a studio whose mission is to offer advanced solutions for online casinos and provide users with excellent game experience. To buy or rent NetEnt casino, you should contact Smart Money managers. Smart Money is a leader in the online gambling industry and offers not only online casino slots from exemplary developers but also consultations how to run the gambling business. CasinoModule is a comprehensive gaming system that NetEnt developed specially for casino operators to manage their establishments easily. This software includes a set of quality games and a personal account of a player. It works ideally and is customisable. It gives online casinos an opportunity to offer customers the most promoted products that can be adapted to any needs. What is more, CasinoModule releases new games each month to bring more and more pleasure to operators and gamblers. What is peculiar about CasinoModule is that operator can either use a full version of the program with all the games installed or choose certain NetEnt games and add them to the existing establishment. It means that online casinos that are managed by other software providers can offer clients fascinating and unique games from NetEnt. The better the games are, the better their developer is. NetEnt is a successful company because it offers advanced innovative games to customers because it sticks to Better Games standard – the focus is on game development with the best sound effects, graphics and so on. Innovations are the main task for NetEnt; it seeks to provide online gambling market with the best products. NetEnt constantly expands the variety of provided games in order players not to idle. Customers choose this company because of slot machines on different themes and large jackpots with million-dollar winnings. Why is Net Entertainment a reliable partner? NetEnt has been working online for 15 years and in the sphere of land based casinos for 45 years according to under the norms created by Global Gambling Guidance Group. These norms prove that the developer acts within the accreditation system of the responsible attitude to games. NetEnt products are inspected by LGA – Malta regulator that controls payments and software stability. This generator is used to ensure landed elements are completely random. iTech, an independent test organisation, is responsible for regular tests whether a random number generator works properly. Due to this, players make sure that games are random and fair in reality so that everyone has equal chances to win. In 2011, NetEnt introduces Net Entertainment Touch software developed for Android and iOS. It offers a variety of casino games such as board games, classical online slots, video slots, video poker, lotteries. It uses Flash technology to create software so that players do not have to download any content. All they need to enjoy fast and quality game is a web browser. NetEnt makes use of the popularity of mobile devices and develops products that are supported by smartphones and tablets. NetEnt adjusts its most popular games to the mobile platform to allow gamblers to play at any place and time and via any device they like. One more feature that NetEnt offers is a live casino. It gives a gambler an opportunity to play at home and place bets in a land based casino via a computer or a mobile device and communicate with dealers. Sparks Touch is a 5-reel, 3-row and 20-line slot machine that has the following features: Win One Way or Win Two Ways modes and an Expanding Cloning Wild that can award with huge winnings. In this game, symbols look like sparkling multicolour energy and create an atmosphere of being present in the Universe. Neon Staxx Touch is a video slot in a retro style. It allows gamblers to travel in the past and feel the spirit of 80’s due to unbelievable neon-colour graphics and a funky synthesizer soundtrack. What is special about this slot is SuperStaxx feature that can land a great number of symbols on the reels during each spin. Stickers Touch is a colourful slot with standard wild symbols that turn into Sticky Wild symbols and bring Sticky Spins to action. It is a real fruit adventure and a wave of pleasure. Blackjack Touch - Single Deck is a quick live casino game with an intuitive interface and marvellous design. Here a gambler can play against the dealer and win in case getting closer to 21. Apply to Smart Money, and you will acquire not only NetEnt slot machines for sale or rent but also get professional help how to survive and earn a fortune while owning an online casino establishment. Smart Money is a reliable partner who knows all ins and outs of the online gambling industry.